JOIN US for nextgen month! Come catch us at these special events all through June! 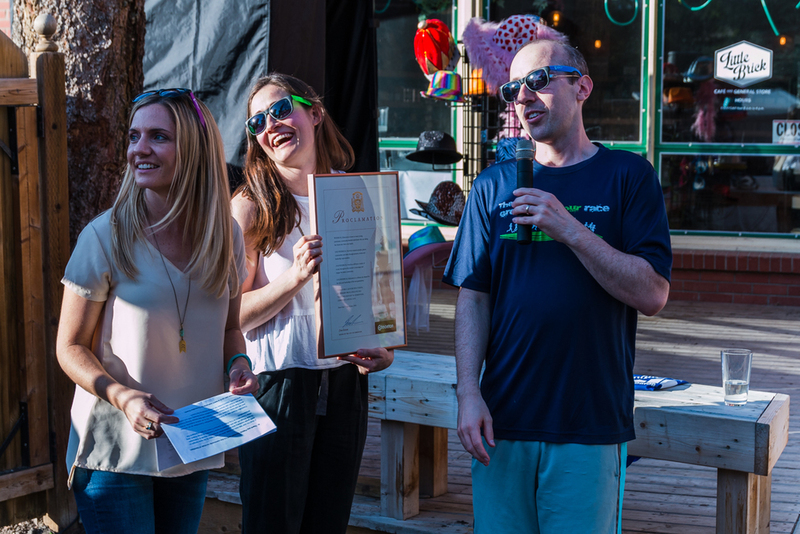 Join us on June 7 to celebrate NextGen Month! 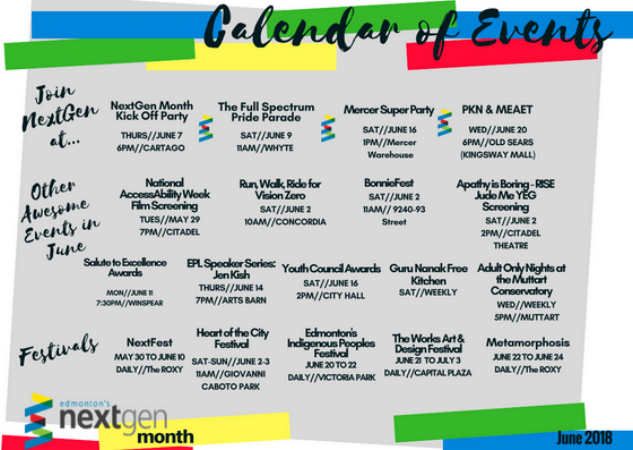 We will be proclaiming June as NextGen Month and celebrating our upcoming projects and events and the work of the community who aim to engage next geners in Edmonton. Pull out your most colourful attire from you closet and show you pride at the annual Edmonton Pride Parade! 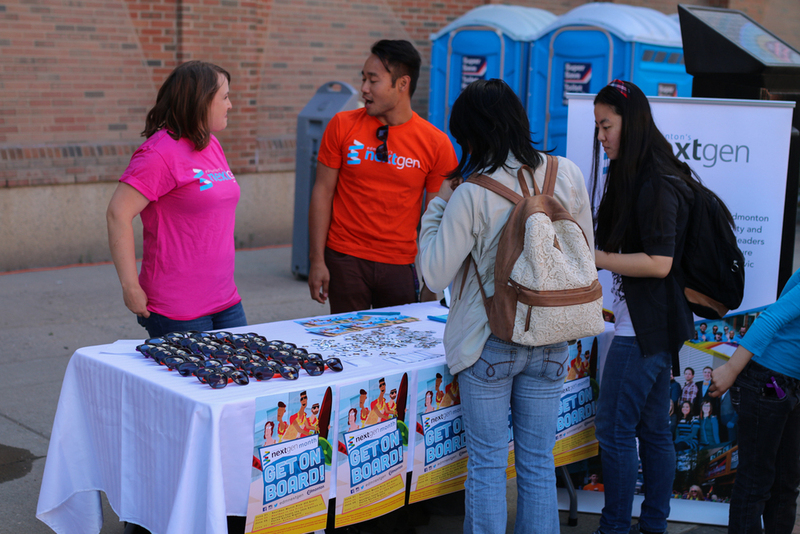 Be on the lookout for the NextGen float and be sure to say hello! Can you believe it’s #34!? June is full of fun community events that celebrate our great city. Here's just a few of them. and let it ring with wisdom inside you. It is that I already know you have."